Published October 11, 2018 by admin. Spironolactone is a medication that has been around since the 1950s. It functions as a diuretic medication (promotes water loss) and is licensed in the UK for the treatment of blood pressure and heart failure. So what does this have to do with acne? As with many medications, they often come onto the market for a specific medical problem and then we realise the drug itself has a number of other actions. 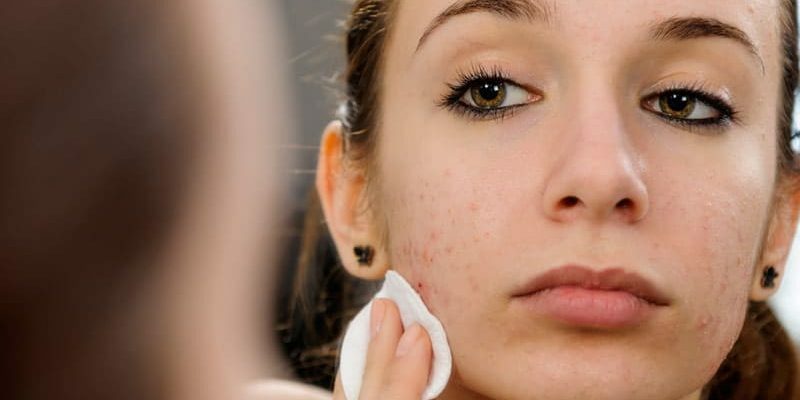 In otherwise fit, young healthy women, without a background of kidney or heart problems, it is also an extremely effective drug for adult acne. 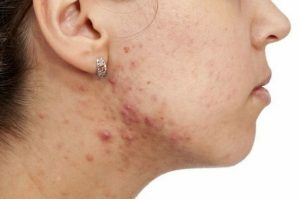 How does Spironolactone work for acne? Acne is caused by an interplay between hormones and genetics. Hormones known as androgens drive oil production in the skin which is part of the process in acne development. Spironolactone is an ‘anti-androgen’ drug and reduces the level of androgen hormones in the skin. The knock-on effect is reduced activity of the oil glands. Scientific studies have shown that it is able to reduce oil production at starting doses of 50-100mg daily. Who is Spironolactone useful for? Who should not take Spironolactone? It is not a suitable treatment for male patients with acne, as it is not a good idea to reduce androgen hormones in men. It is also not suitable for those with underlying heart or kidney problems. It should also not be taken if you are trying to conceive, are pregnant or breastfeeding. If you would like to discuss this or any other treatment for acne, we provide a responsive service that aims to set your mind at ease and ensure you are fully informed before booking your dermatology consultation. You can either call Elan Medical Skin Clinic on 01268 770660 between 9.30am and 5pm Monday to Saturday or you can click here to fill in a contact form and one of our reception team will contact you by phone or email, whichever you prefer. You will be asked to pay your initial consultation fee by credit or debit card on confirming your appointment.